So, I just love this place. For those of you that don’t know, the walled town of Visby, on the island of Gotland, in the country of Sweden, rocks stone medieval towers, quaint cottages all covered with tar, ultra-classic American luxury cars from the 1950s, and since “Stockholm Week” has just begun, lots of house music and blond girls who wear Chuck Taylors by day and no doubt so-kind of club wear in the evenings. Pretty picturesque, no? This shot was taken without any filters or any photoshop. 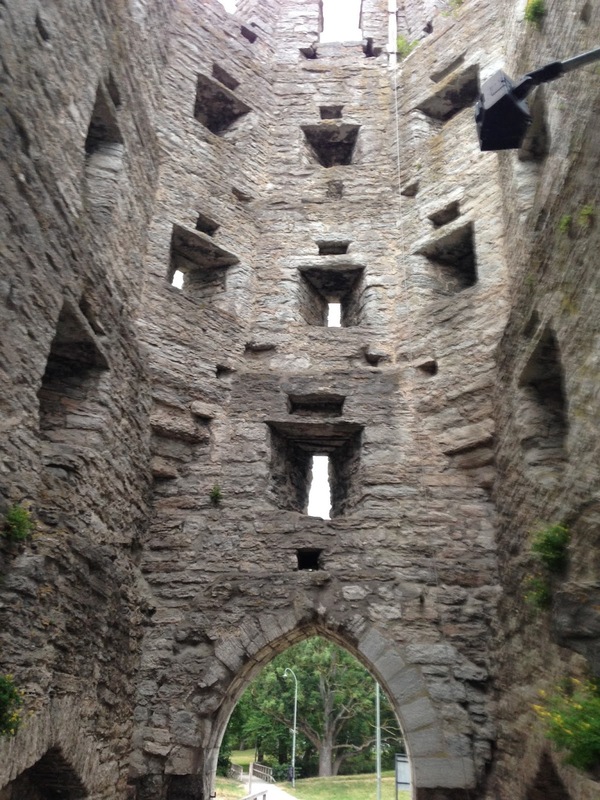 This is exactly how Visby looked today (after the nasty rain whipped through last night.) This was where the 12th-century “yachtsmen” used to haul up their longboats after a pleasant day of pillaging. It was all about the churches back in the day, and Visby boasts, like, 12 church ruins within the walls of the city and over 90 significant, stone churches on the entire island. 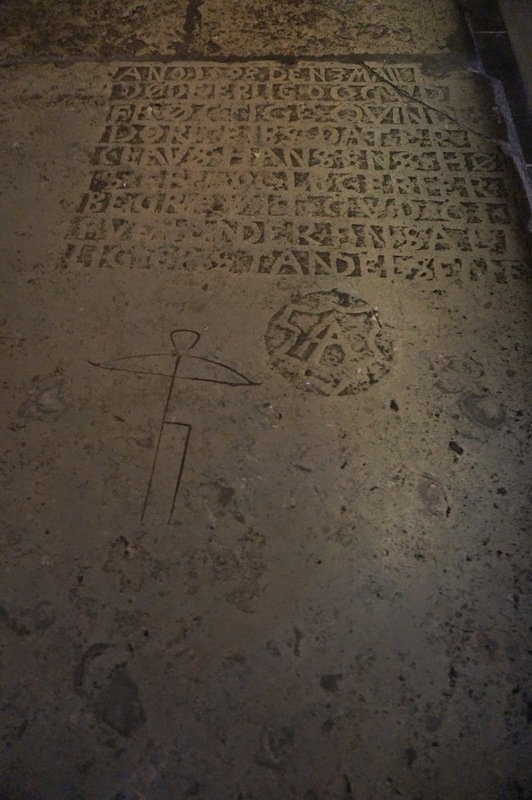 The biggest church in town has a stone floor covered in inscriptions. I’m sorry, but I don’t know what it says yet. 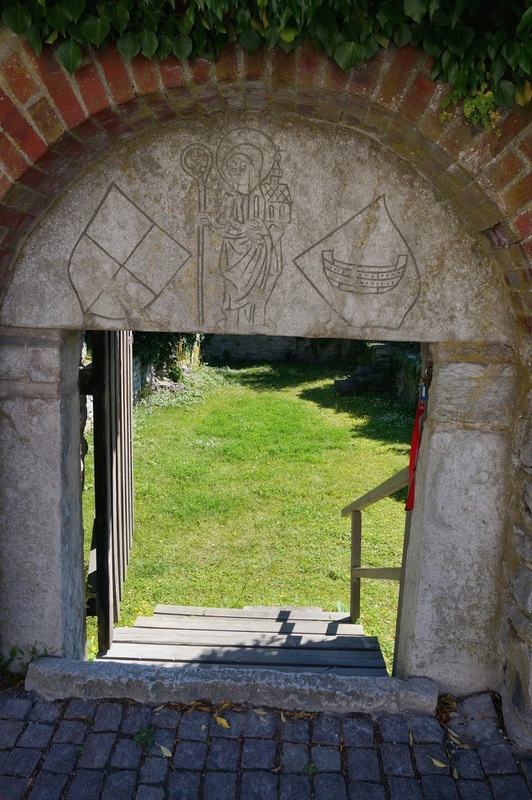 According to this stone gateway, those 12th-century guys were tough, religious, and liked “boating,” but, it seems, since the door is only about 4-feet tall, they were also quite short. …those guys at least had a nice view when they poured boiling oil and threw limestone boulders down upon their would-be sackers. No wonder all the Chuck-Taylor-shod Swedes want to come to Gotland this week. It’s gorgeous. Tune in later for the next installment where there may actually be some sailing. Looks like the weather is going to be sporty. Previous articleWhat’s it like to be rescued by a USCG helicopter team?